In order to neutralize business security threats caused by workers’ carelessness, most of companies are centralizing confidential information. When data is administered centrally, virtualization gives valid protection against data breaches, theft, and malware and virus infections. Increase of tablets and Smartphone has mobilized the workforce. Employees can now continue to work and become productive when they are not present in the office. To make work easy for employees, businesses are searching ways for employees to provide maximum access to files and applications. By selecting virtualization, workers get instant access to business resources anytime and anywhere through virtual network, which is administered centrally. Employers are always worried about scam artists, hackers and malicious software therefore react apprehensively while giving workers an access to company system for using the web. Sandbox feature separates certain applications which are threatening for a network. For instance, hypervisor is used to develop sandbox for web browsing. As a result, harmful attacks are cut off in virtual environment with no compromise on applications and host server. It is true virtualization is associated with some threats; however companies must understand the nature of risks while adopting this technology. To resolve security issues concerned with virtualization, it is important to design appropriate policy. All members should not be given permission to start, update, and configure virtual machines. At the same time, all virtual machines should not be given Internet access. There must be some strict policies for data security. When virtual machines are used excessively, they can get exhausted. When non-functional machines are connected with the system, these will increase security threats for the production environment. Virtual servers and desktops have needs just like physical machines. It means to consider relevant patches and updates for data security. Whatever is the nature of the case, companies should be well informed of the virtual systems to provide security. There are many security threats associated with virtualization, but companies can get benefit from this technology. Understand your needs, get an idea of the risks involved and select best policies. https://datadepositbox.com/wp-content/uploads/2015/08/How-to-Reduce-Risks-Associated-with-Network-Virtualization.jpg 335 547 datdepbox https://datadepositbox.com/wp-content/uploads/2018/08/datadepositbox-logo.png datdepbox2015-08-27 10:40:202015-08-27 10:40:20How to Reduce Risks Associated with Network Virtualization? Cloud backup systems come in various options. Some of them are simple and have user friendly environment, whereas others have restricted recovery options. Many cloud backup solutions are complicated, but provide wide range of flexible recovery options. Though we cannot state which option is preferable for small and medium sized companies, benefits and drawbacks of these options are discussed to help you in guiding clients for budget oriented solutions that can accomplish business objectives as well. It is devastating when companies select single option for data protection and recovery. It may happen that a company cannot get Internet connection and lose important information, as there is no other source for backup. Sometimes, the cloud goes down or data backed up in the cloud is removed in error. It is the need of the hour to have two backup systems, one is local and the other is cloud backup to avoid risky situations. When Amazon Glacier services are chosen, low cost is charged for archiving. It is best for files and folders that need to be saved for years without any need to get access on frequent basis. Though Glacier is inexpensive, access to data is not immediate in case of needed recovery. It is not a perfect solution for data recovery, but ideal for sensitive information that is accessible annually. There is backup service for Google and Microsoft accounts to keep back up of folders and files. These services are uncomplicated and offer great storage options at cheaper rates. Such services are ideal to get access to information at remote places. There are many disadvantages of these services. First of all, information can not be accessed if there is no Internet connection. Easy access can be a drawback when security features are considered. Criminals could easily get access to sensitive data. Only limited option for data recovery are provided and it is not perfect for quick data recovery procedure. When companies require restoring whole system, they cannot get what they require through simple folders and files. 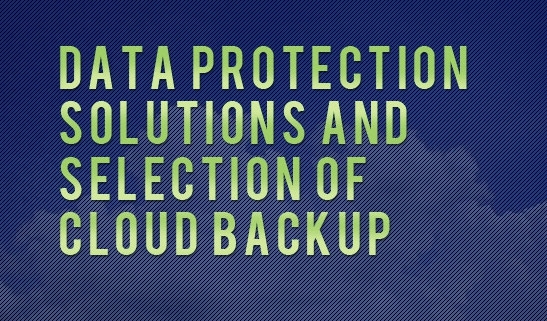 When data protection is foremost concern, get image based backup to keep data safe in cloud and onsite. When onsite, on premise, backup is selected, a second source for data recovery will be available. Recovery cloud option is similar to regular cloud with some differences. Recovery cloud is developed to assist in recovery procedure. For instance, regular cloud is selected for data protection. In case, disaster occurs and all local systems are damaged, what will be the option to start work on immediate basis? Obviously, you need new system and equipment before downloading data from cloud. Downtime cost and time period depend on business size; however the cost can be above $8,500 for an hour. If task is more than a few days, calculate the cost company is bound to pay. Conversely, recovery cloud allows running crucial equipment by using any system like laptop or desktop from any location with online connection. In a nutshell, recovery cloud is valuable as it has negligible downtime cost. Cloud computing offers wide range of solutions to companies and online backup is one of the best solutions to keep important data safe from disruptions and disasters. It gives way to keep applications and data off-site in highly secured environment. There are great advantages of using backup technology such as automation functionality and encrypted data. It is stated by many business experts that cloud is not one of the secure sources to safe important data. Online backups have encryption capacity to keep data safe. Conversely, hard drive (external) is not secure, and could be stolen or misplaced. 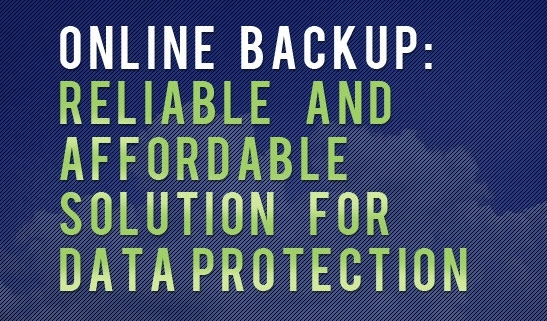 Reasonable charges of online backup compel companies to select this technology. By using online backup, companies are given an opportunity to keep important files and documents safe from disarray and disaster at reasonable rate. Organizations and firms must consider the list of advantages associated with cloud computing. Netmetix Limited has issued a report that shows most of businesses are depending on IT systems which are outdated. Companies are paying millions of dollars on annual basis just because of using outmoded solutions for data protection. To reduce escalating costs, companies are required to select hybrid cloud solution and manage a wide range of in-house resource. Cloud is reliable solution for companies searching for a platform to protect data; however online backup is more affordable as well as flexible. Even if company has faced data disruption, staff gets access to cloud based data by using internet facility. Cloud offers advanced solutions to help businesses in accessing documents and files reliably and quickly. Even if disaster occurs, such operations never influence on business continuity. These solutions assist to run business even if offices are not in working condition. Keep data in organized pattern to improve backup solutions. It prevents data duplication and help in simplifying recovery procedure. When files are organized, company keeps detail of all files and documents which help in restoring data after disaster. Servers and computers are usually selected for backup process. In fact, data saved in social media accounts, emails and mobiles should be selected for backup for dependability and compliance purpose. Cloud has capability to make things easier and help businesses to keep back-up of all documents and resources without paying additional charges. It is often considered that cloud computing is reliable source and help in accessing data easily. As a result companies rely on online backup solutions only. Most of companies avoid secondary source of backup. In case, online connections are not working, it is good to use hard drive backup as an alternative to keep machines in working mode. Instead of waiting for online connectivity, use secondary source till internet connectivity is confirmed. Multiple backups reduce downtime in severe circumstances.